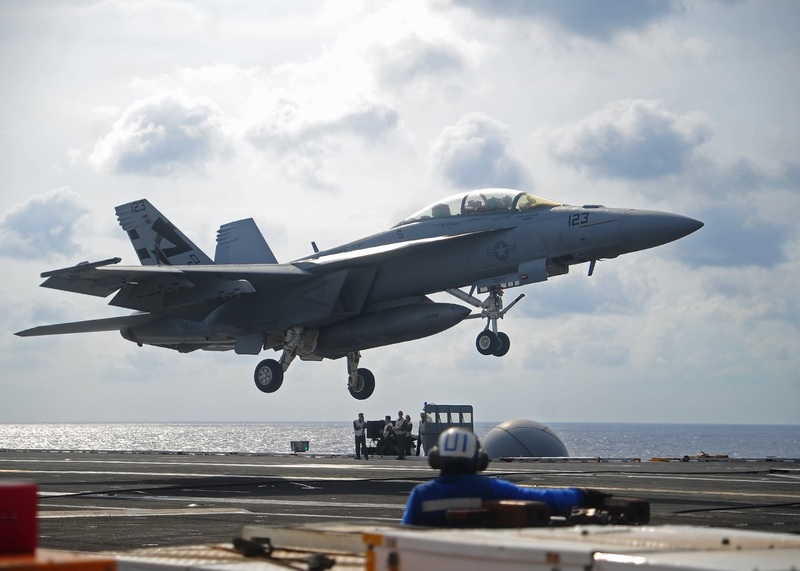 For the first time, a landing signals officer (LSO) was able to remotely take over a F/A-18 on the glide path and bring it aboard an aircraft carrier for a touch-and-go. The technology, dubbed aircraft terminal approach remote inceptor (ATARI), was tested out at sea on USS Abraham Lincoln (CVN-72) last month. Developed at Naval Air Station (NAS) Patuxent River, Maryland by Naval Air Systems Command (NAVAIR), ATARI was originally been tested in a Learjet in 2016, performing shore-based low approaches. In 2017, F/A-18s were fitted with this technology and after extensive testing and quality assurance, VX-23 was confident enough to test their system at-sea. As told by Mass Communication Specialist 1st Class Josue L. Escobosa, USS Abraham Lincoln Public Affairs, in the article Abraham Lincoln Tests ATARI, LSOs are capable of taking over an aircraft from up to five miles away using the ATARI. The system demonstrates a potential method for recovering an unmanned aerial vehicle (UAV) by using the LSO’s ability to observe and fix glideslope and lineup errors. Though not intended to be a primary method for recovering aircraft, it does provide a relatively inexpensive backup system in the case and an LSO needs on to step in and use their expertise and training to safely guide an aircraft. 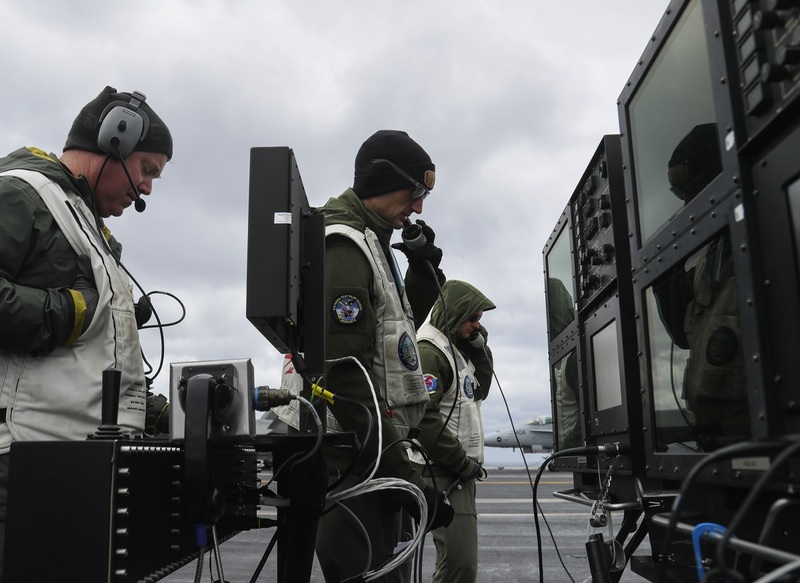 Landing signal officers work with the aircraft terminal approach remote inceptor (ATARI) in preparation for incoming aircraft to land on the flight deck of the Nimitz-class aircraft carrier USS Abraham Lincoln (CVN 72). Along with the ATARI, a van outfitted with the ATARI system was brought aboard and setup behind the LSO platform to allow the engineers to watch the approaches in real-time, monitor safety-of-flight data and ensure passes were going smoothly. The van recorded flight data for engineers to analyze later and allowed VX-23 to test their system without having to install it Abraham Lincoln. Much like its namesake, ATARI uses a joystick to control a UAV, or in this case for testing purposes, an F/A-18 outfitted with the system and a safety pilot sitting in the cockpit. The LSOs use the joysticks to make corrections and safely land the aircraft on the flight deck. Prior to landing, the aircraft first had to perform three wave-offs to ensure all conditions were safe and the system could indeed take over the aircraft while-at sea. On the fourth approach, the system engineers and LSOs felt comfortable doing touch-and-goes. 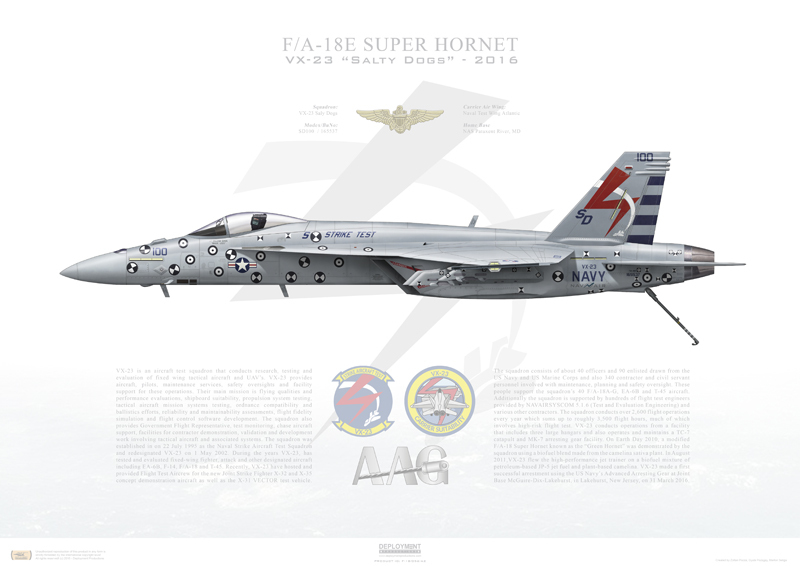 The ATARI testing was conducted over the course of two days in conjunction with carrier qualifications. Though not currently slated for fleet-wide implementation, yet the successful give it potential for future application. The ATARI engineers will analyze the data collected aboard Abraham Lincoln and make adjustments for further at-sea testing.